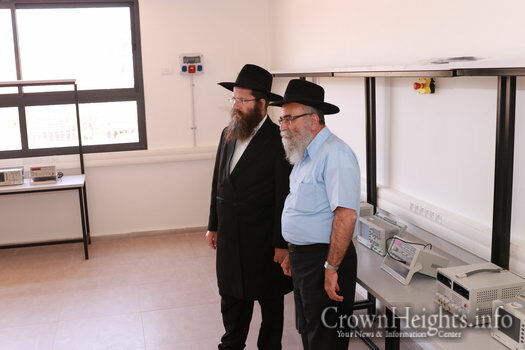 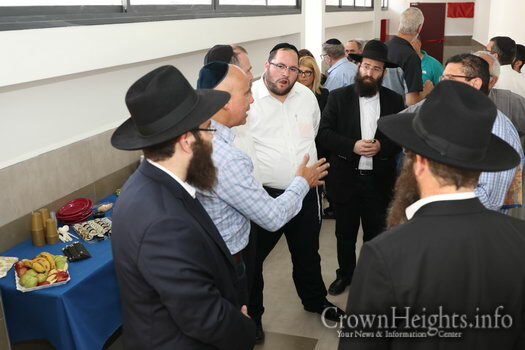 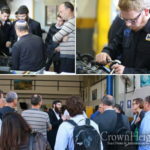 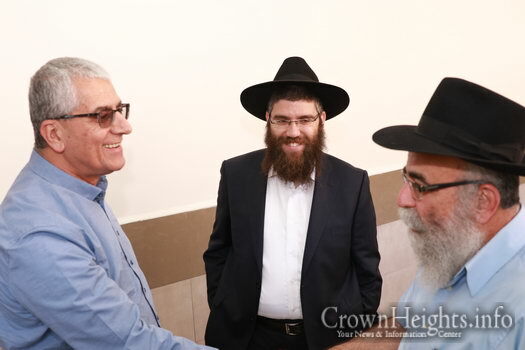 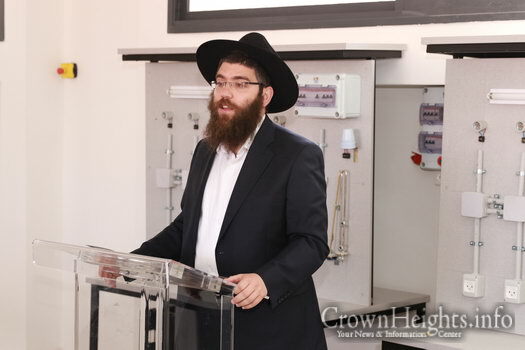 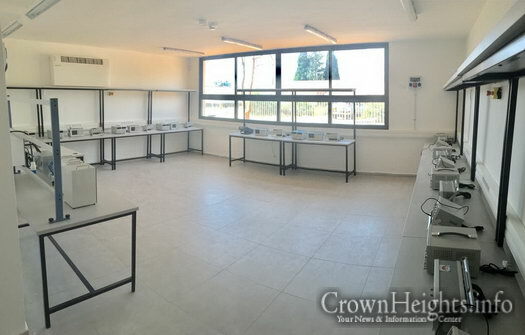 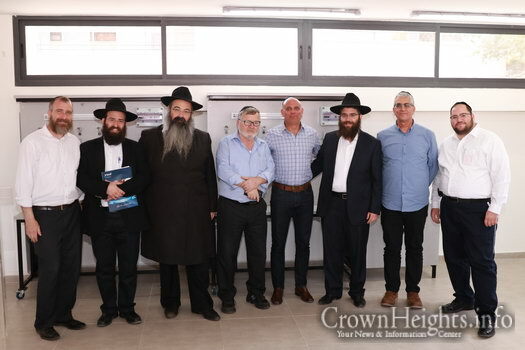 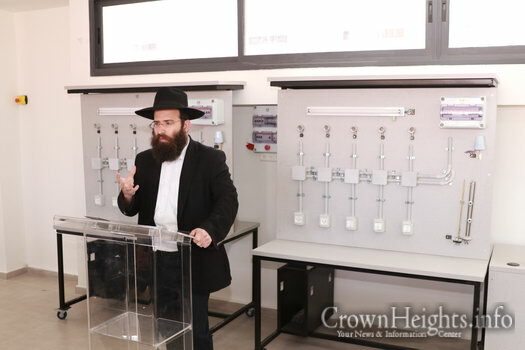 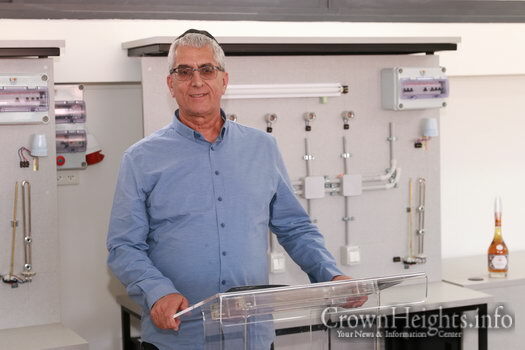 A new electrical workshop was inaugurated, at an impressive ceremony, at the ‘Ohalei Tmimim’ Yeshiva in Kfar Chabad. 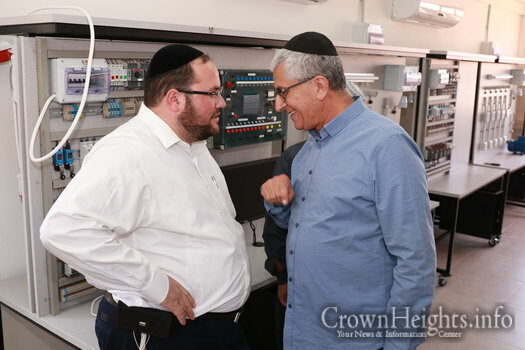 The workshop – which is part of the new state-of-the-art study complex that is currently being completed and is one of the most advanced of its kind in Israel – will enable a high level of experiential learning. 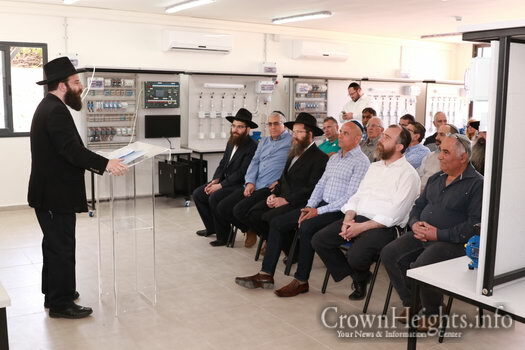 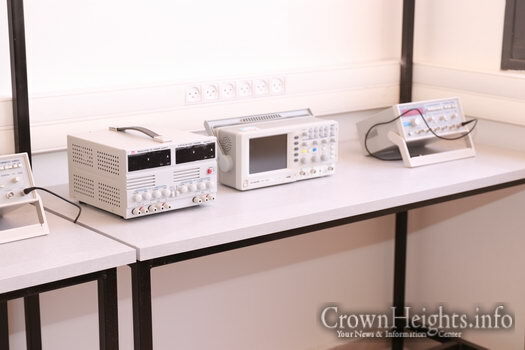 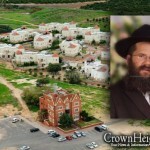 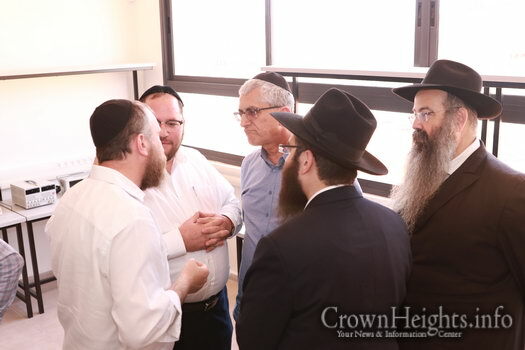 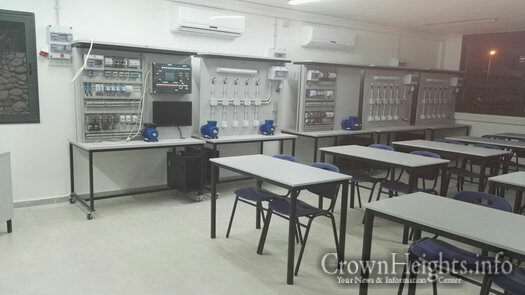 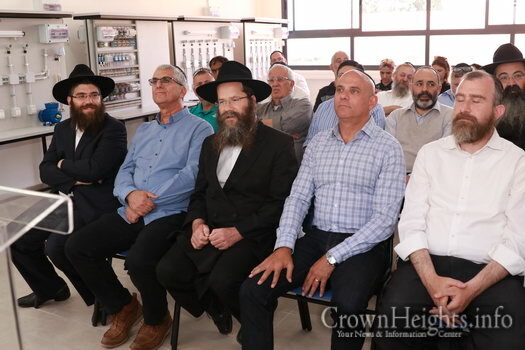 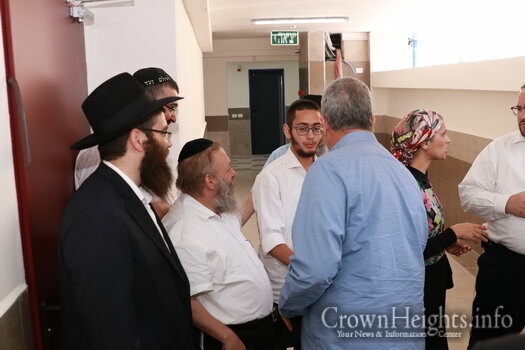 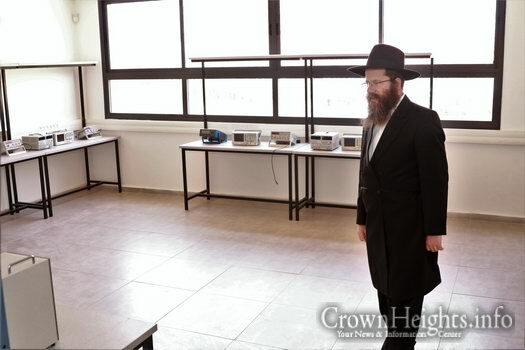 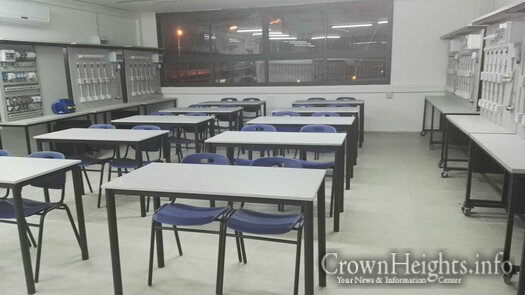 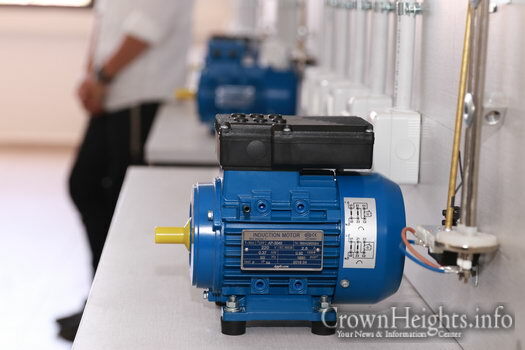 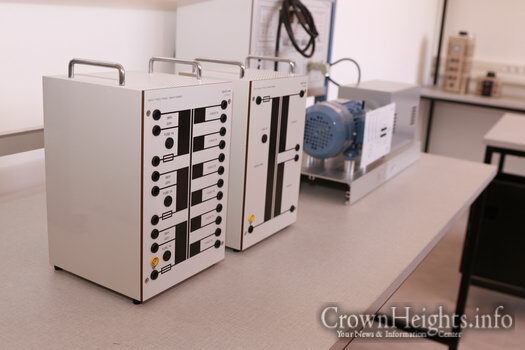 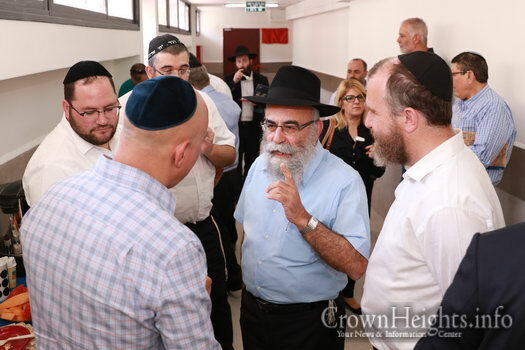 In the ‘Ohalei Tmimim’ Yeshiva, the pupils get a choice between a number of professional workshops during the afternoon hours, including an electricity class which will use the new workshop from the upcoming summer. 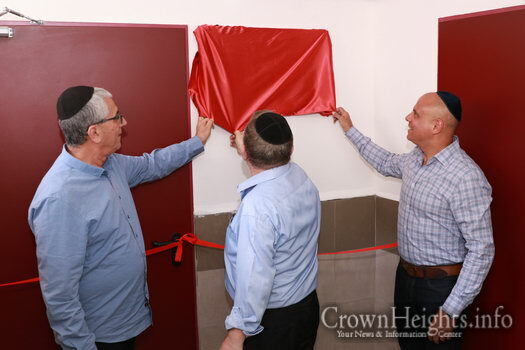 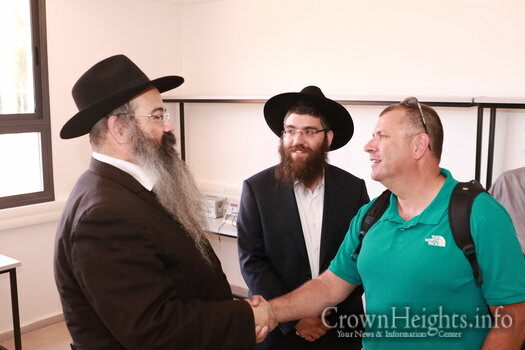 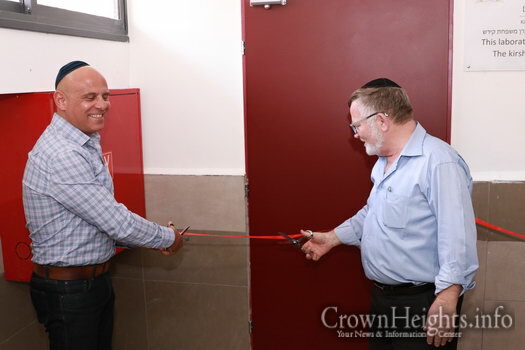 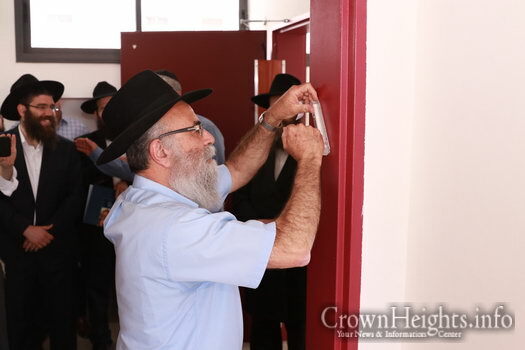 The event began with the affixing of the new Mezuzahs for the workshop’s classrooms by the Rabbi of Kfar Chabad, Rabbi Meir Ashkenazi, and Rabbi Menachem Lerer, a director of the Institutes. 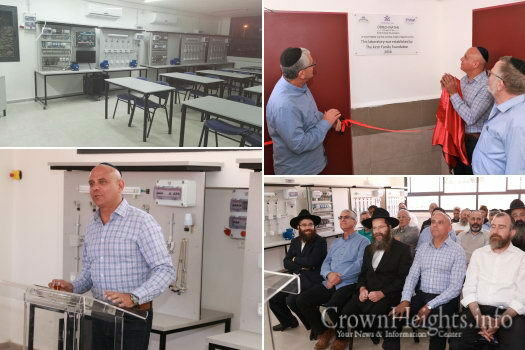 Honored in unveiling the veil was Mr. Menashe Samira, the Director of the “Atid” educational network, and the Head of the Department of Apprenticeship in the Ministry of Labor, Mr. Avigdor Krill. 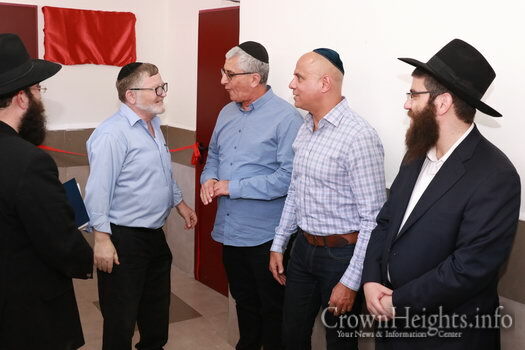 Honored in cutting the ribbon was Mr. Mark Rosenberg, representative of the Kirsch Foundation, which contributed part of the new workshop. 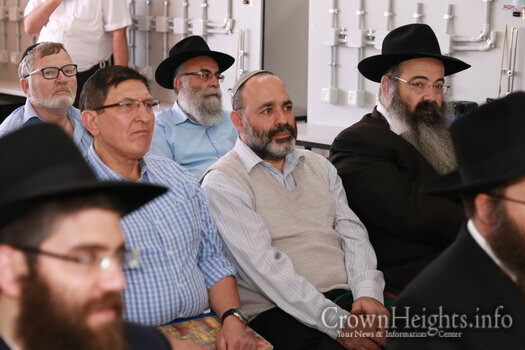 In the event, which took place after the workshop was unveiled, the audience gathered to listen to words of blessing. 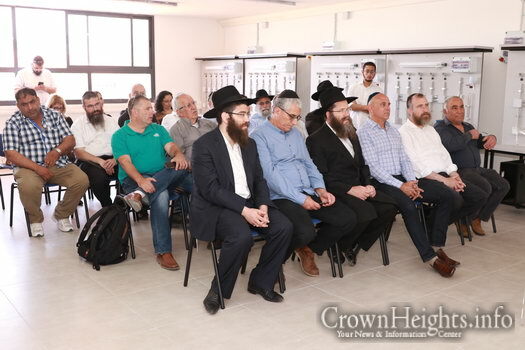 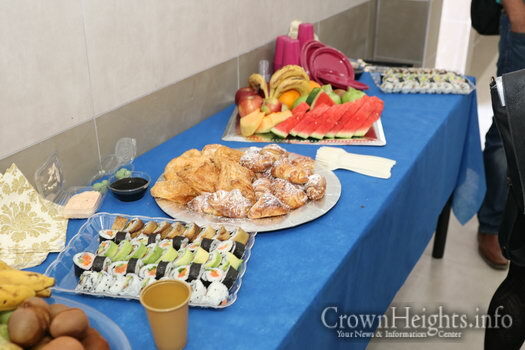 The moderator, the Rosh Yeshiva Rabbi Yoel Baitch, opened by mentioning the connection between the weekly Torah portion, which deals with the inauguration of the Mishkan, and the present event, and invited the Rabbi of Kfar Chabad, Rabbi Meir Ashkenazi, to bless those present. 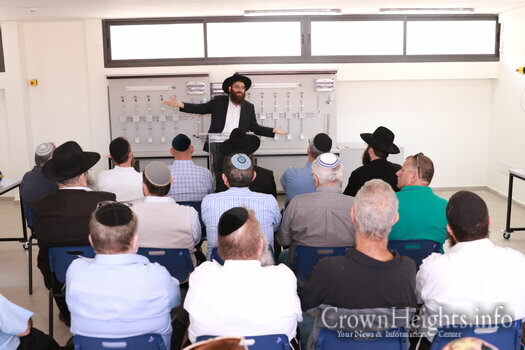 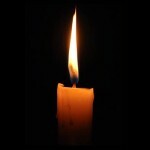 Rabbi Ashkenazi reminded us about the Four Sons we read about during the Seder night and the special attention the Torah gives to each one of them sitting at the Seder table. 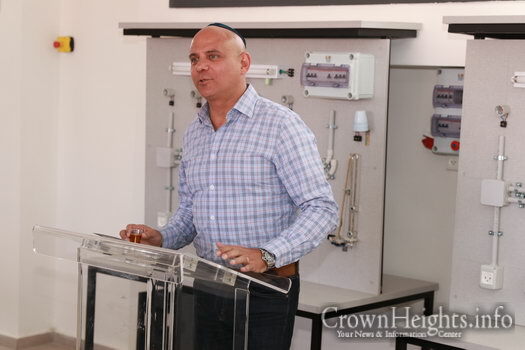 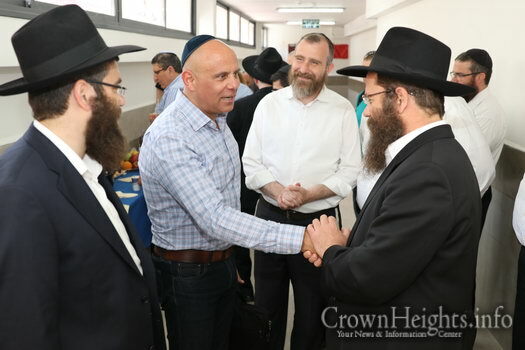 Mr. Menashe Samira, CEO of the “Atid” educational network, congratulated all the project’s partners and promised that this is only the beginning, and the future of the yeshiva is much greater than it seems to the eye. 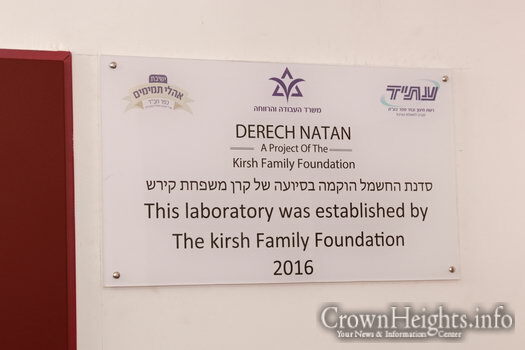 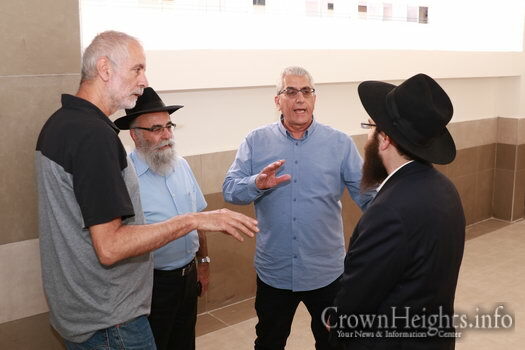 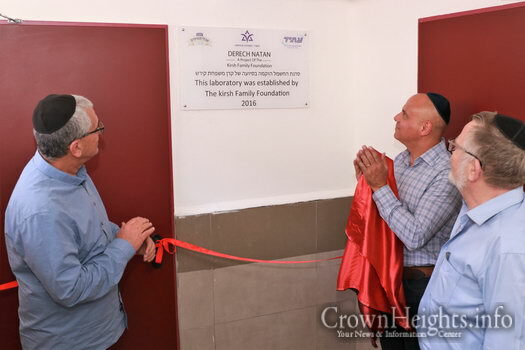 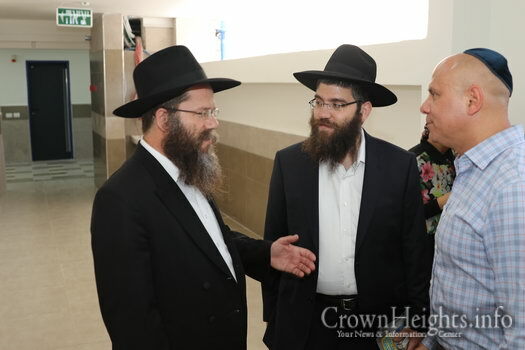 Mr. Mark Rosenberg, representative of the Kirsch Foundation in Israel, spoke with emotion about Mr. Natan Kirsch, who dedicates his life to assist educational projects and how glad he is to be part of such an important educational project in the heart of Kfar Chabad. 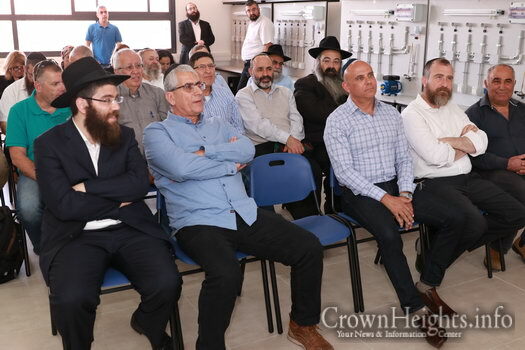 Mrs. Orit Vaknin, Director of the Department of Apprenticeship at the Ministry of Labor, represented the ministry that supports the Yeshiva and was excited to inform the participants of additional budgets that the Ministry had just approved for renovating the Institute’s dormitory building. 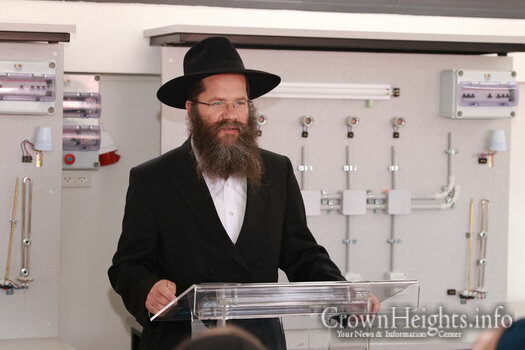 The Yeshiva’s director, Rabbi Shmuel Reinitz, concluded the speeches by providing a colorful description of the special attitude the Rebbe had towards the “Beit Sefer LeMelacha” and thanked Rabbi Menachem Lerer and all the distinguished guests who work hard to ensure that the pupils can learn in a useful and Chassidic way. 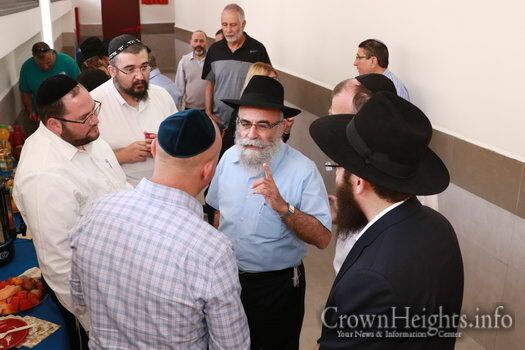 The event was also honored by the presence of: Rabbi Pinchas Althoiz, member of the Yeshiva’s Board of Directors and one Chabad’s Rabbis, Mrs. Liat Malka, Director of the Orthodox Department in the ‘Atid’ educational network, Rabbi Natan Tzivin, representative of the parents and a supporter of the Yeshiva, Rabbi Yossi Svardlov director of Educational projects at the Kirsch Foundation and Rabbi Ya’akov Meyuchas from the Yeshiva’s adminstration.